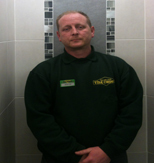 Here at tile choice West Bromwich we are known for our excellent service and we dedicate all our knowledge to our customer’s needs. For a small shop we have a wide range of tiles on display showing you many different ways of how to display your tiles in your own home. Our staff have many years of experience and we have excellent knowledge of all our products to cater for all our customer’s needs.